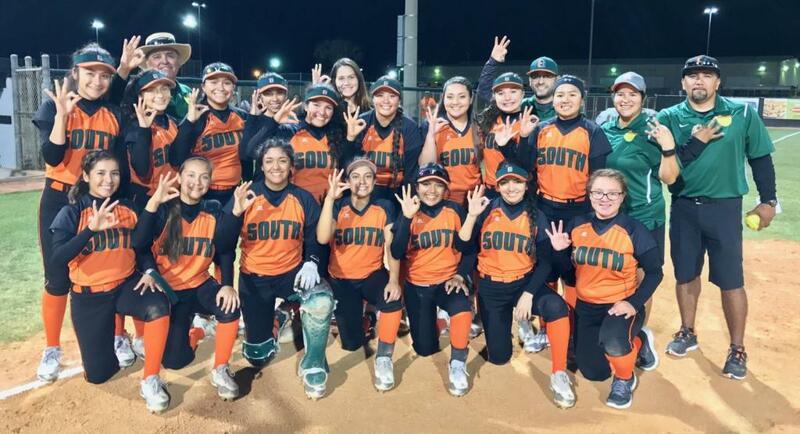 The Harlingen High School South Softball team advanced to the Regional Quarterfinals after defeating Laredo United Lady Longhorns in an Area playoff game in Corpus Christi on Friday, May 5. The Lady Hawks took an early lead, but the Longhorns responded, and going into the 6th inning the game was tied 1-1. At the top of the 6th, a triple by Freshman Kelsey Rivera gave the Lady Hawks a one run lead only to see it disappear moments later. With the game tied 2-2 at the top of the 7th inning, the Lady Hawks mounted an attack and on an errant throw by the Longhorn shortstop they reclaimed the lead. A strong pitching performance by junior Daisy Gallegos and her defense secured the win for the Lady Hawks.